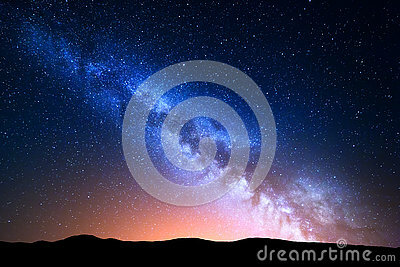 Night landscape with colorful Milky Way and yellow light at mountains. Starry sky with hills at summer. Beautiful Universe. Space background.